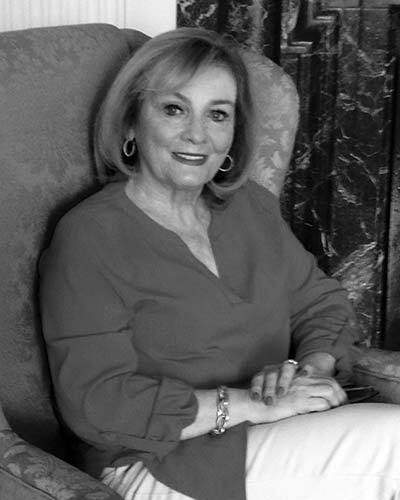 Eleanor M. Dezzi founded The Dezzi Group, Ltd. in 1995. Creating The Dezzi Group was the culmination of a lifetime in public service. Mrs. Dezzi served as Special Assistant to Lt. Governor Mark Singel. From 1984 to 1991, Mrs. Dezzi served as the Director of the Mayor’s Office of Neighborhoods in the Goode Administration. Mrs. Dezzi has held positions with the Pennsylvania House of Representatives. From 2001 to 2010, Mrs. Dezzi served as a member and Secretary of the Philadelphia Zoning Board of Adjustment. Mrs. Dezzi has been active in civic causes and political campaigns throughout her career. She has worked on campaigns at the Federal, State and Local level. In an effort to help increase women’s involvement in the political process and corporate governance, Mrs. Dezzi co-founded the Genevieve Society. The Genevieve Society is a non-partisan not for profit which mentors and educates women to help them achieve elected office and positions of corporate governance. Mrs. Dezzi was an elected delegate from Pennsylvania to the Democratic National Convention in 2012. Mrs. Dezzi attended the Democratic National Convention in 1996, 2000, 2004, 2008 and 2012. In 2016, Mrs. Dezzi was appointed as a Delegate to the Democratic National Convention in Philadelphia. Mrs. Dezzi is a frequent political commentator and guest on Fox29 & NBC10. Mrs. Dezzi was an Executive Producer of Urban Trinity, a documentary made about the history of the Catholic Church in Philadelphia. The films was made in honor of the Papal Visit to Philadelphia for the World Meeting of Families in 2015. Eleanor Dezzi’s commitment to the community is not limited to the political arena. Mrs. Dezzi is on the board of Trustees of West Catholic Preparatory High School. In 2010 Mrs. Dezzi was appointed by His Eminence, Justin Cardinal Rigali to the Philadelphia Archdiocesan School Board and served as a member of the Blue Ribbon Commission on Catholic Education. Mrs. Dezzi also serves a member of the President’s Council for her Alma Mater, Gwynedd Mercy University. Most recently, Mrs. Dezzi was unanimously appointed by the Montgomery County Commissioners as a Trustee of Montgomery County Community College. Mrs. Dezzi is a graduate of West Catholic High School and Gwynedd Mercy College. She currently resides in Gladwyne with her husband, Alfred Dezzi. Together, they have two sons and four grandchildren.